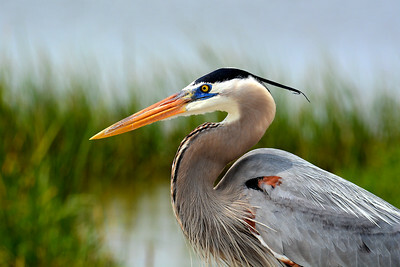 This is probably the most beautiful Great Blue Heron I have ever photographed. My wife and I found him at Rockport Beach Park. A chatty little guy, but he doesn't normally like being seen. 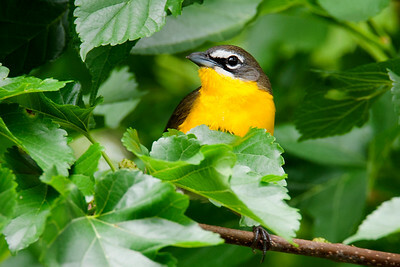 I got a quick glimpse of this shy but boisterous Yellow-breasted Chat at Leonabelle Turnbull Birding Center in Port Aransas, Texas. A stop over for some refueling after a long flight across the Gulf of Mexico. 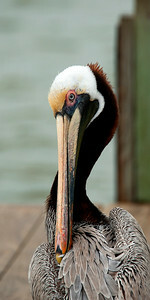 A Brown Pelican, a common site at the Goose Island piers. 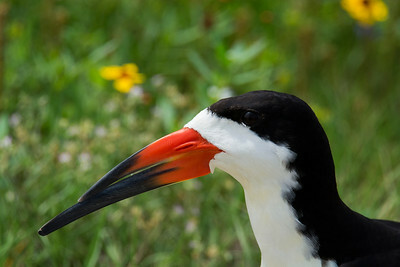 A good view of this Black Skimmer's lower mandible, which is about one third longer than the upper. He flies low over the water using his lower mandible to scoop up food. As my wife and I drove along the ship channel in Port Aransas, she spotted a Great Blue Heron preparing his dinner. 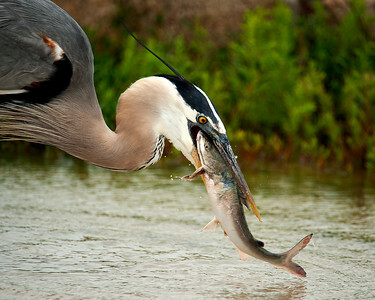 We watched for several minutes as this great bird tenderized his rather large fish before swallowing it. 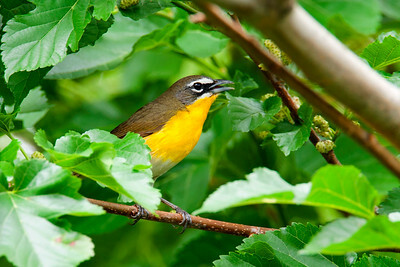 I watched and photographed this graceful bird for a while. 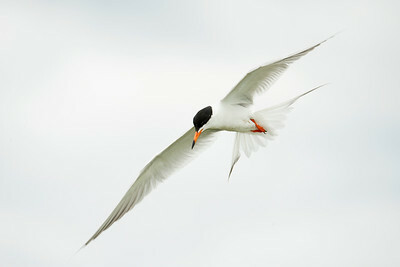 This is a Forster's Tern. My wife and I found this acrobatic diving bird at Leonabelle Turnbull Birding Center in Port Aransas during our recent trip to the Texas Gulf coast. 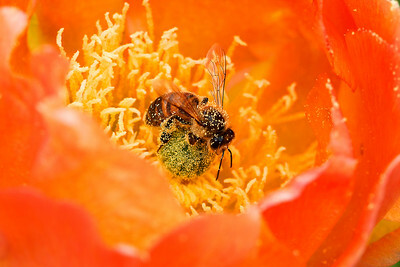 A honey bee collecting pollen from a prickly pear cactus flower that I found near our campsite in Goose Island State Park. 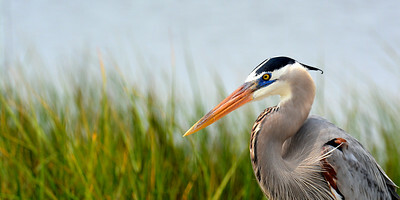 Great Blue Heron at Rockport Beach.